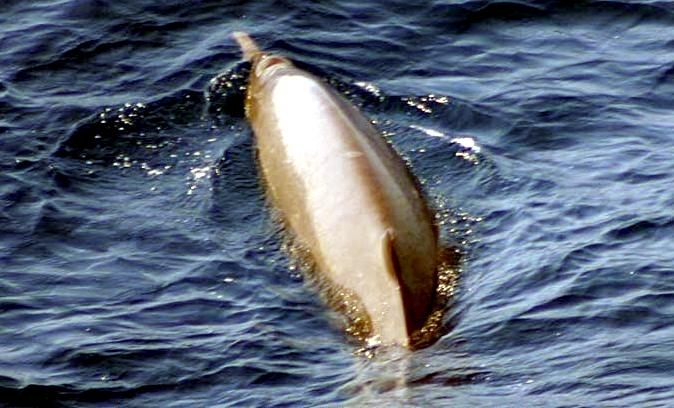 Sowerby’s Beaked Whales are slender cetaceans that measure between 4 to 5 meters in length and weigh between 900 to 1,100 kilograms. 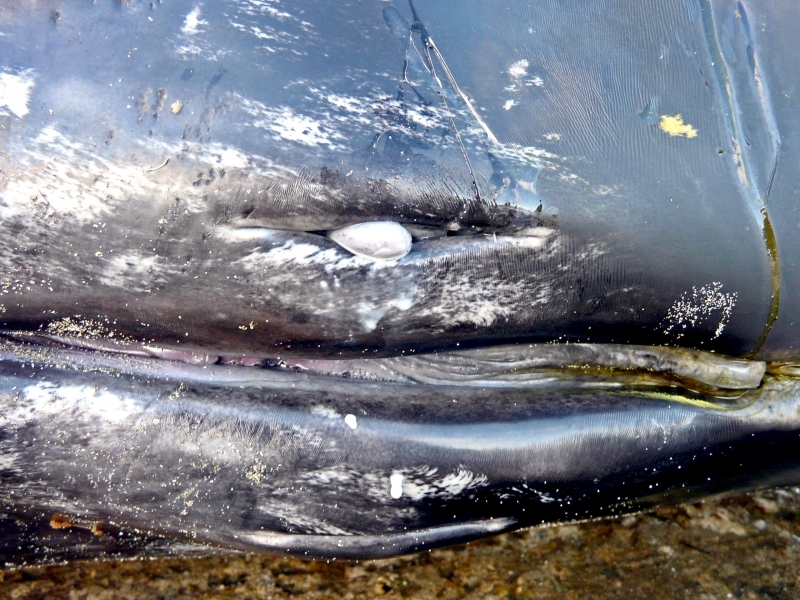 They have 2 teeth in their lower jaws that protrude in males. 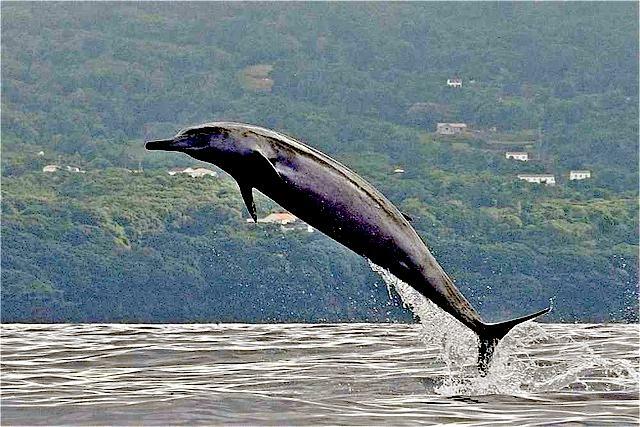 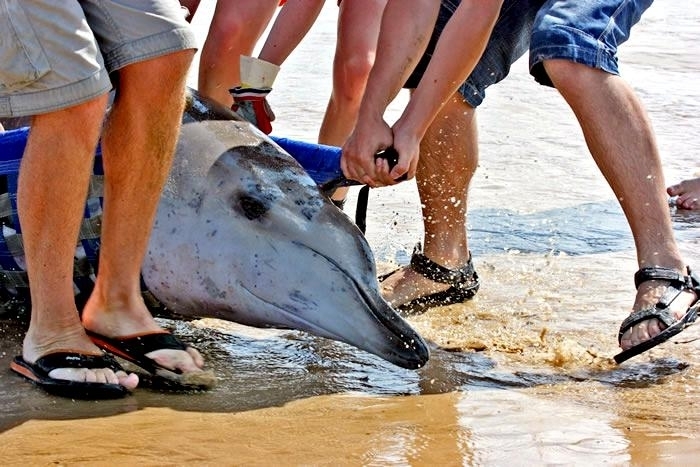 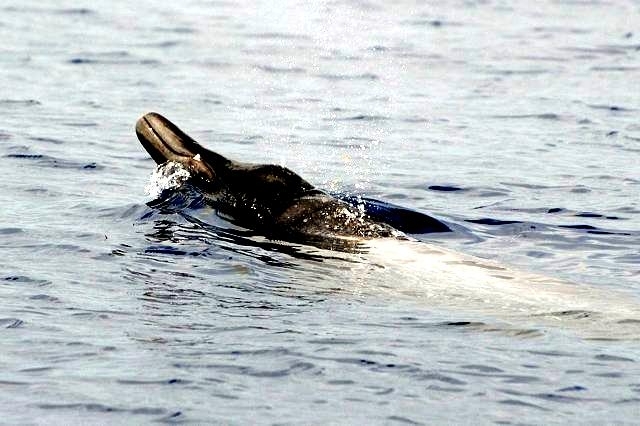 Their dorsal fins are small & curved with rounded tips. 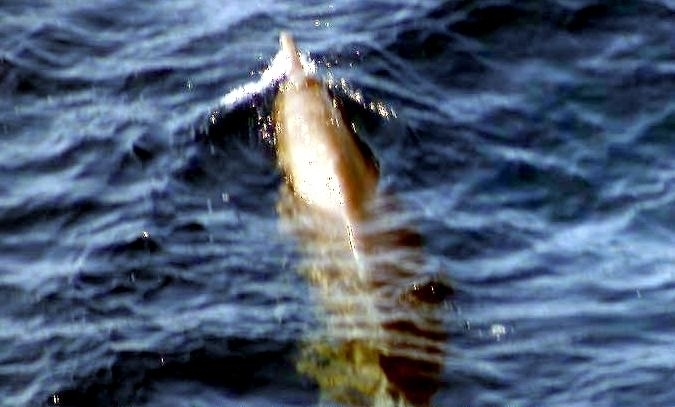 Their flukes (tails) are dark in color and unnotched. 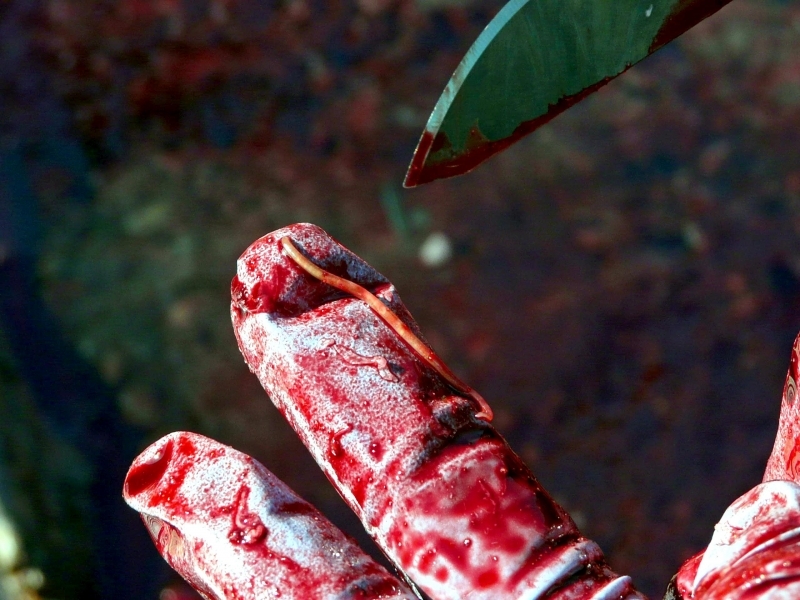 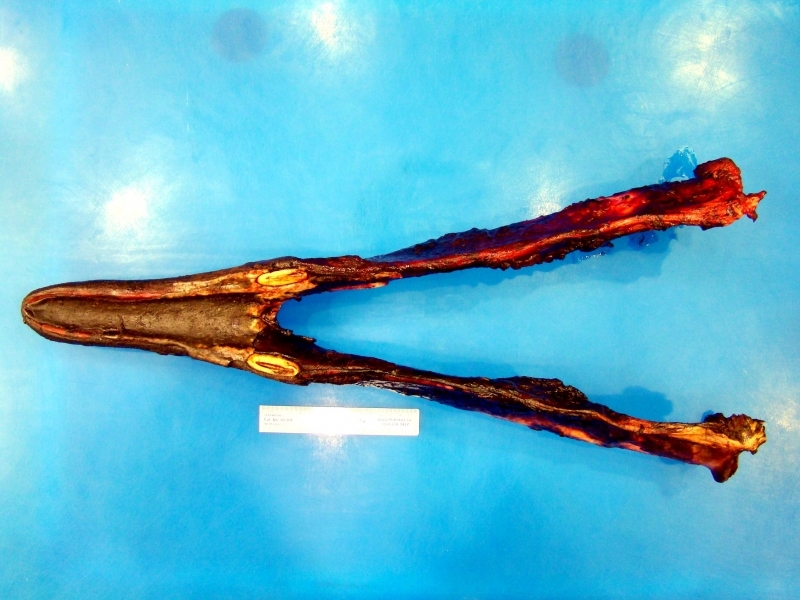 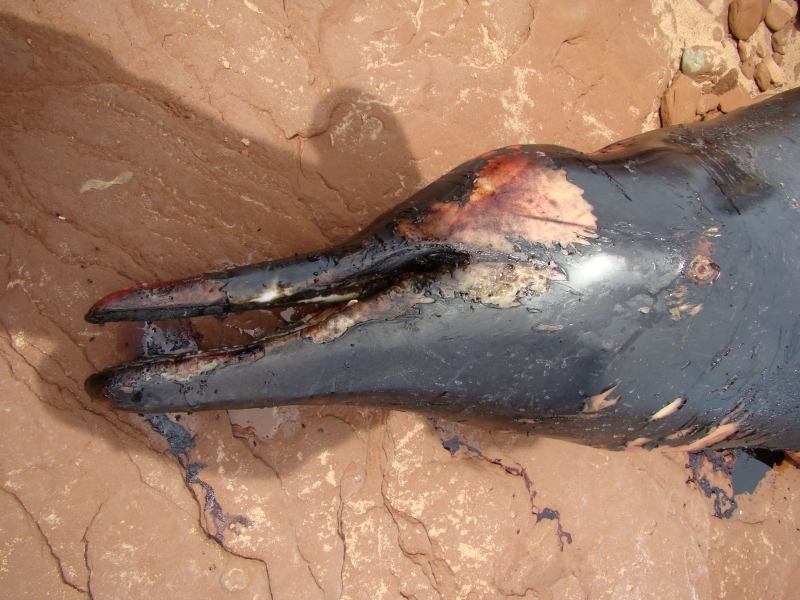 The flippers of Sowerby’s Beaked Whale are curved and relatively long compared to other Mesoplodon species. 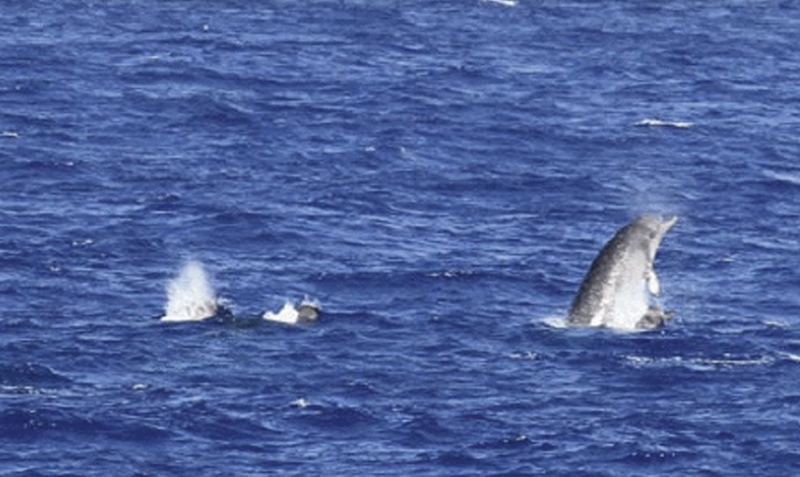 They are blue-slate to blue-gray on their dorsal (upper) sides, lighter on their ventral (under) sides with occasional gray or white spots. 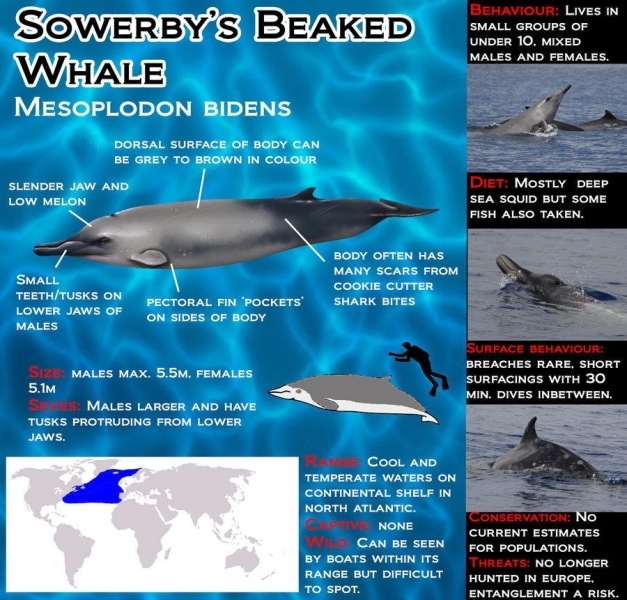 The Sowerby’s Beaked Whale was named after James Sowerby, an English naturalist & artist who first described the species in 1804 from a skull obtained from a male that had stranded in the Moray Firth, Scotland in 1800. 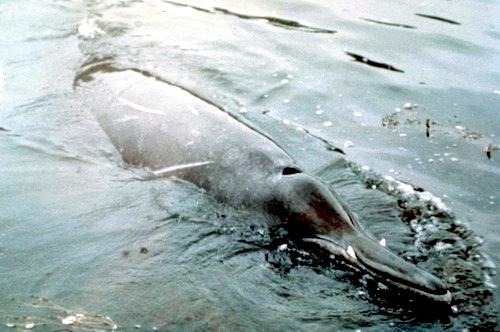 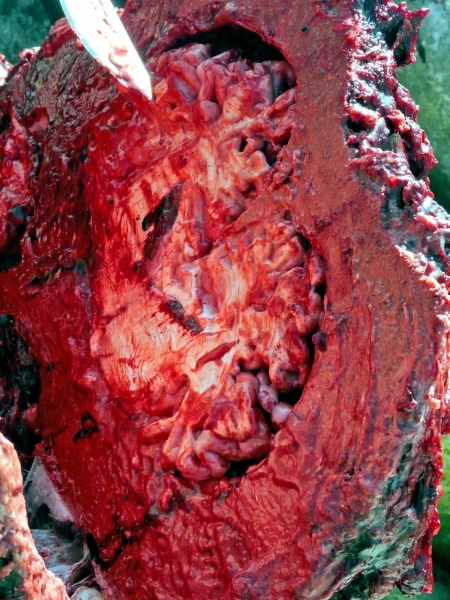 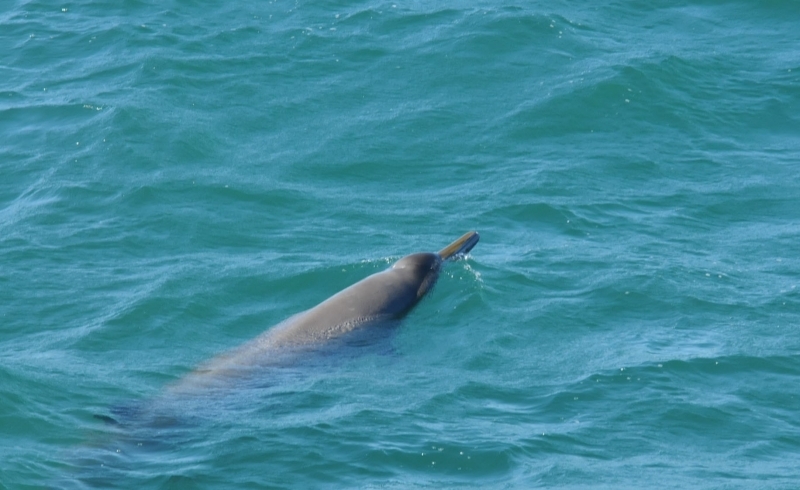 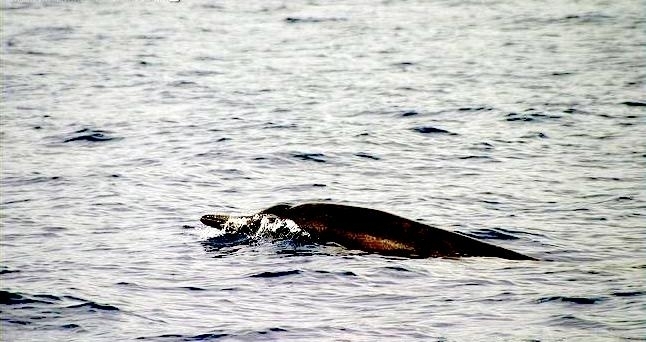 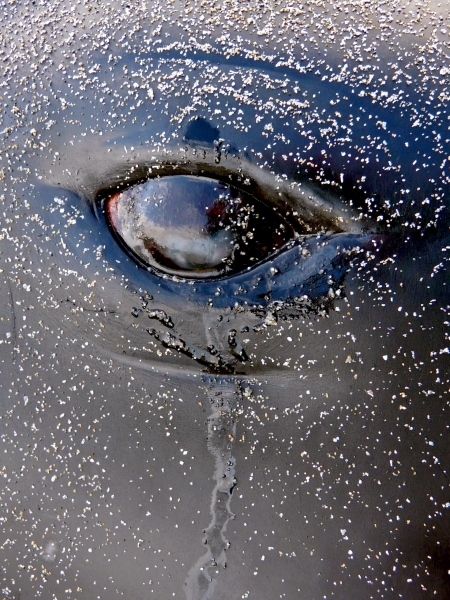 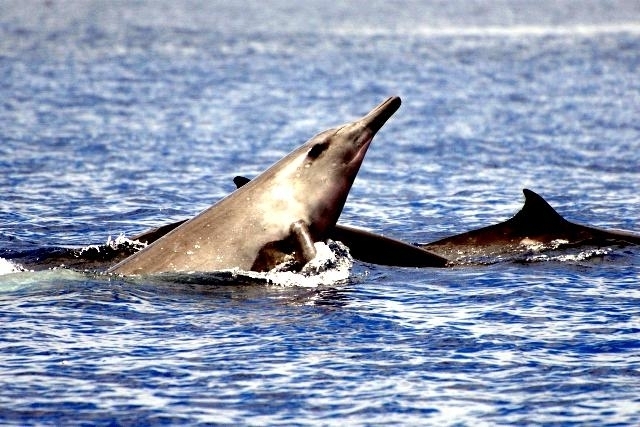 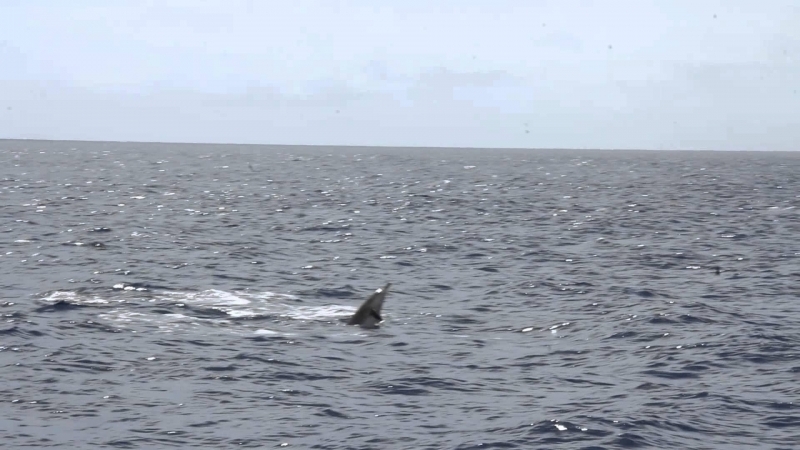 Little is known about Sowerby’s Beaked Whales, however some have been observed surfacing head first at a steep angle after which the animal spends about 1 minute breathing. 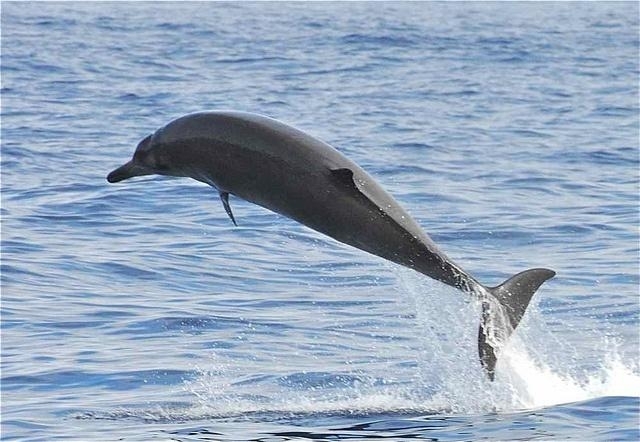 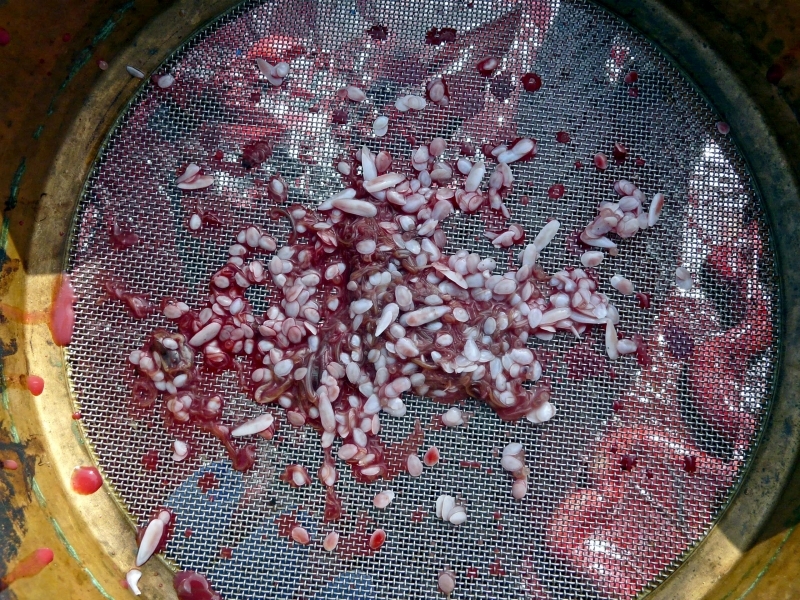 They then dive for 10-15 minutes and have been observed resurfacing up to 800 meters away. 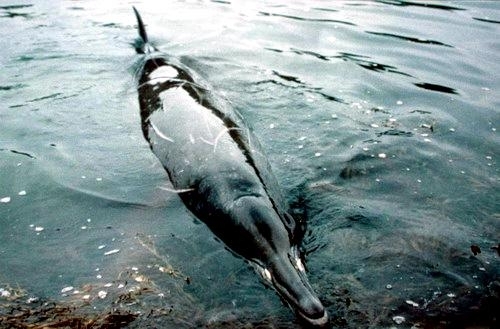 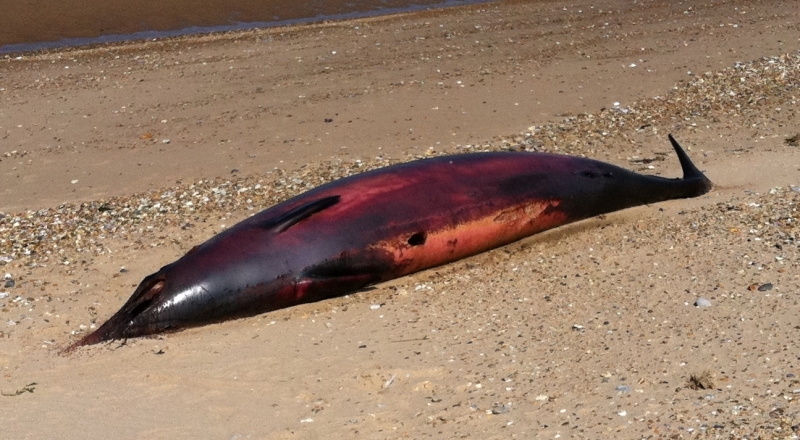 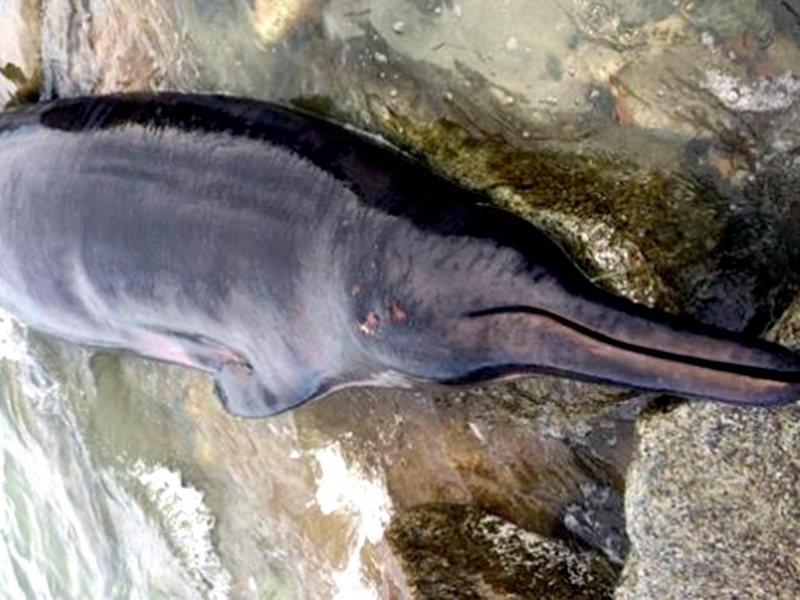 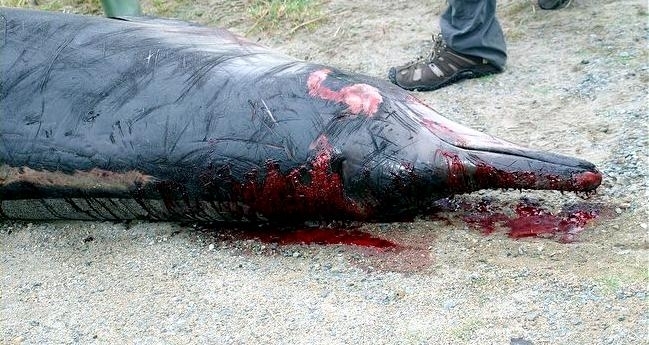 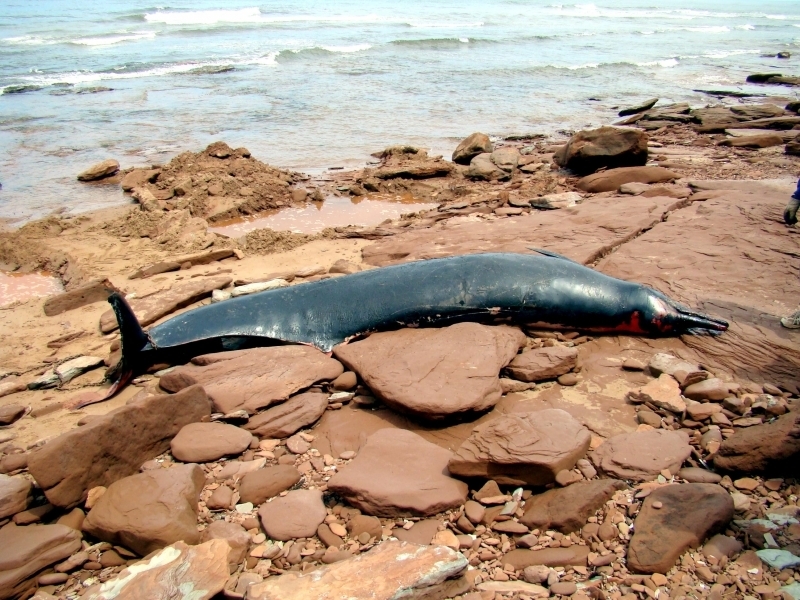 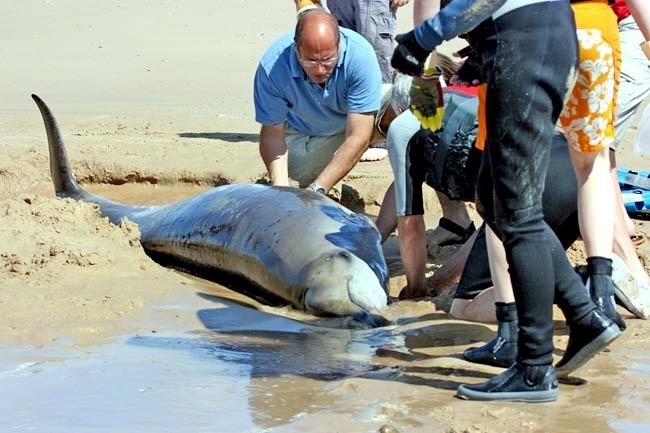 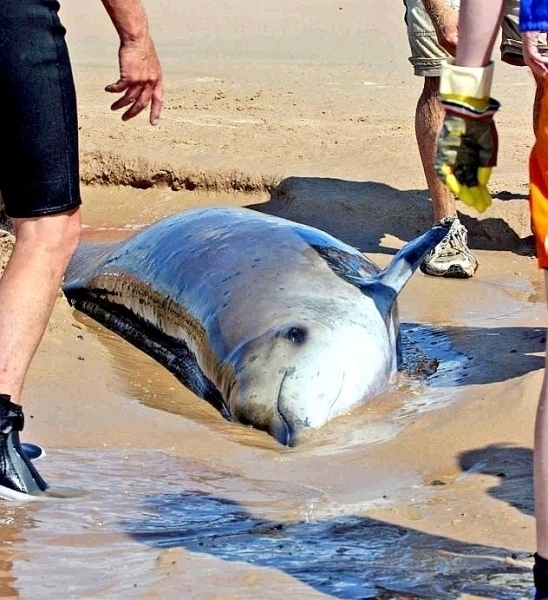 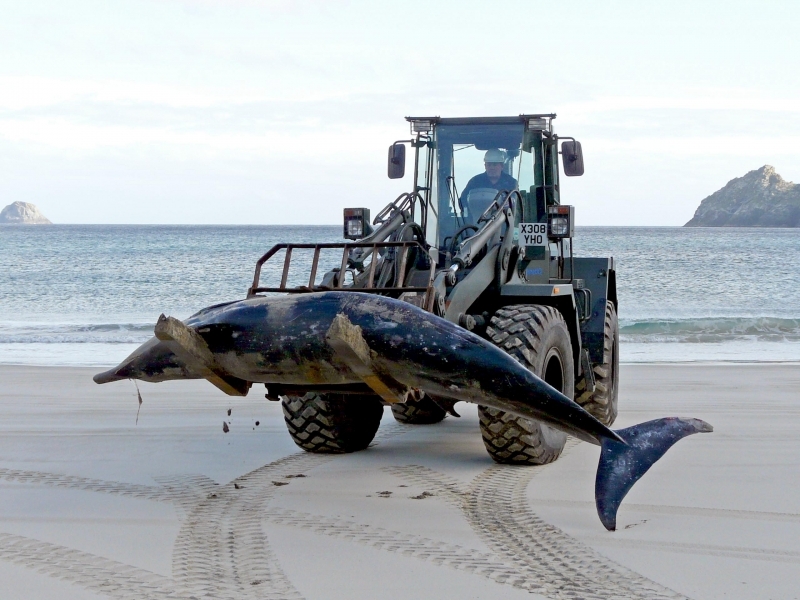 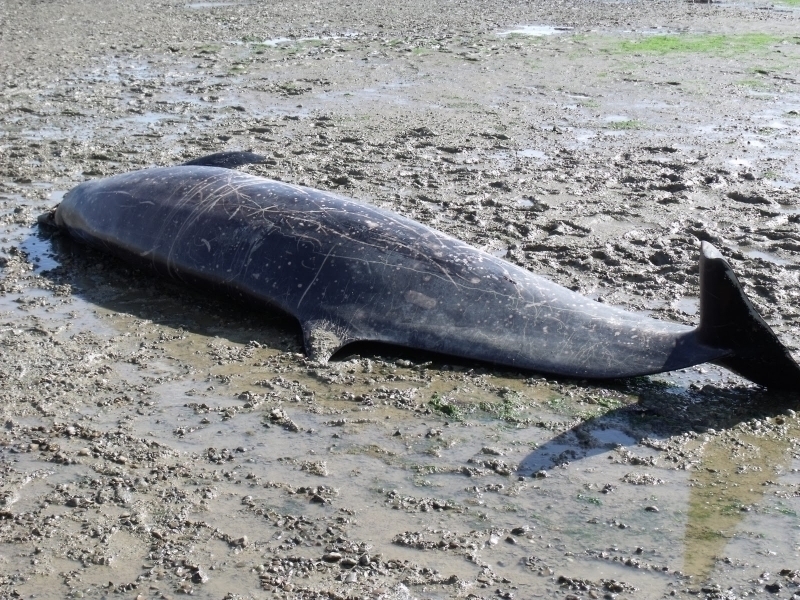 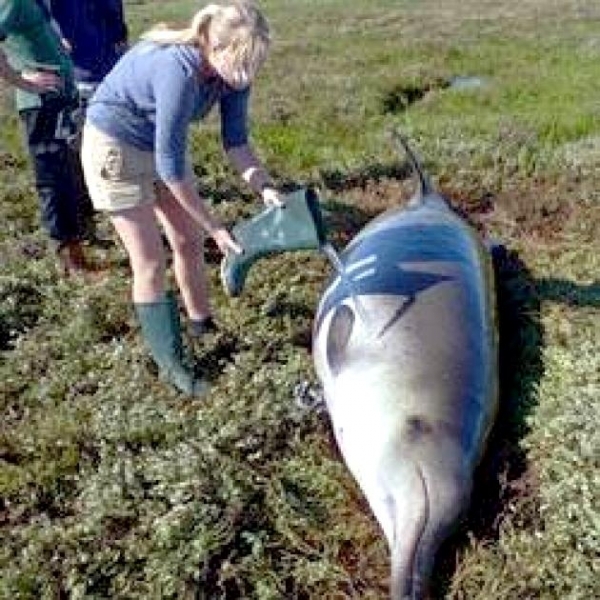 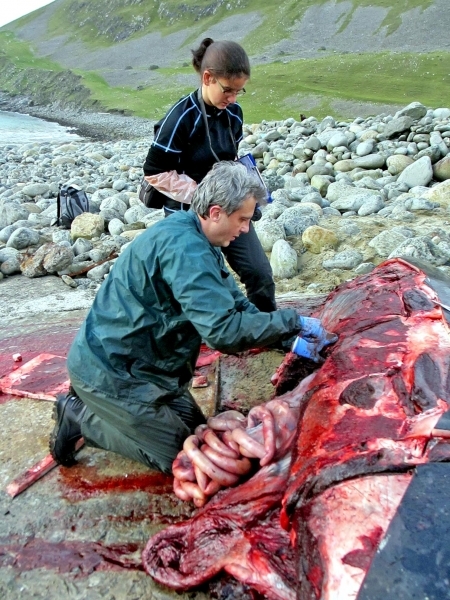 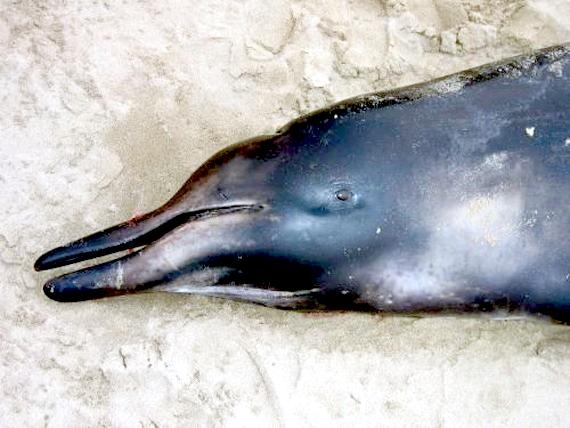 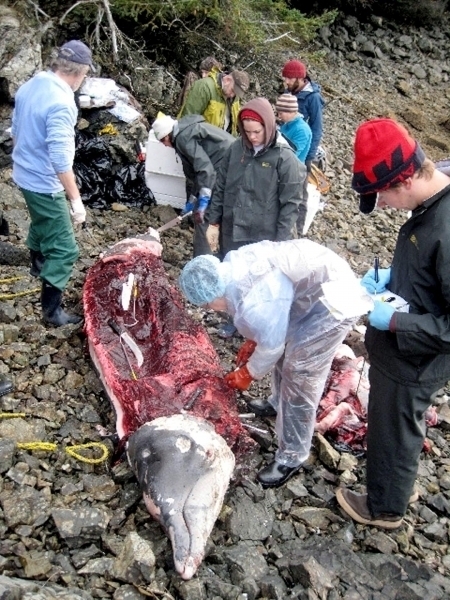 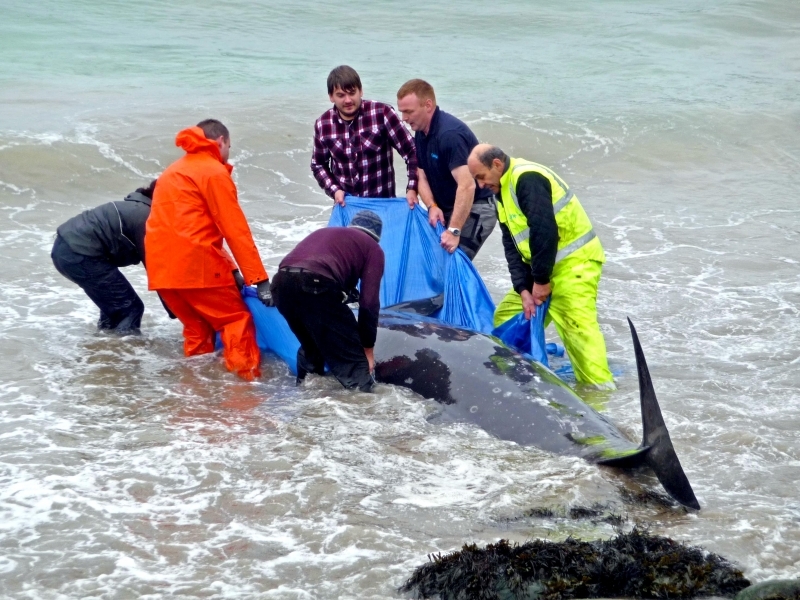 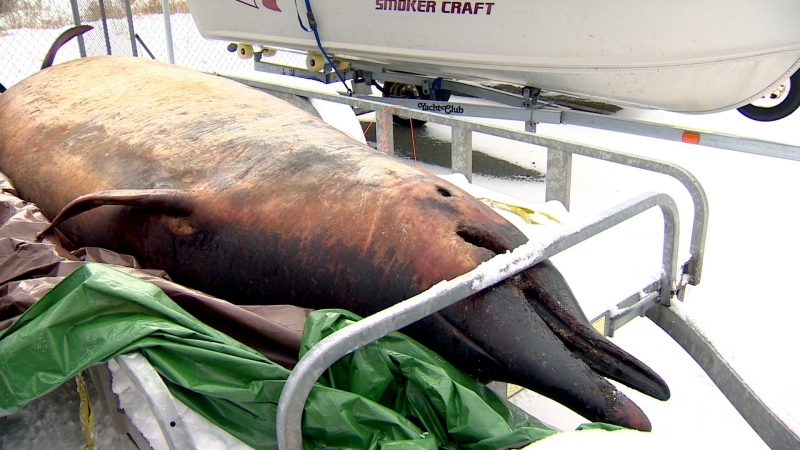 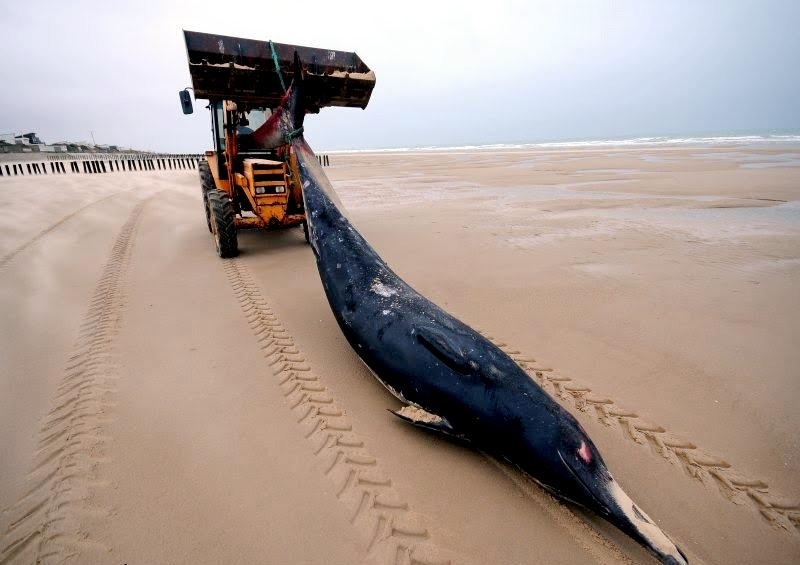 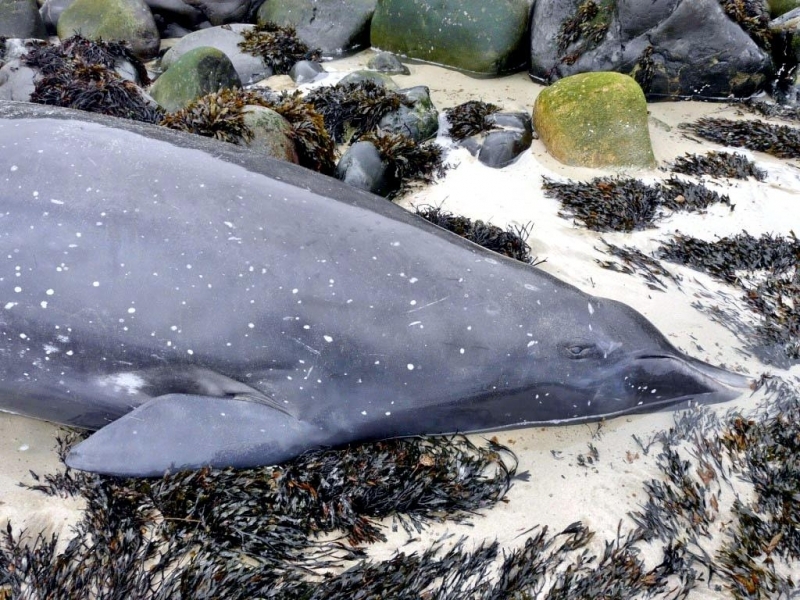 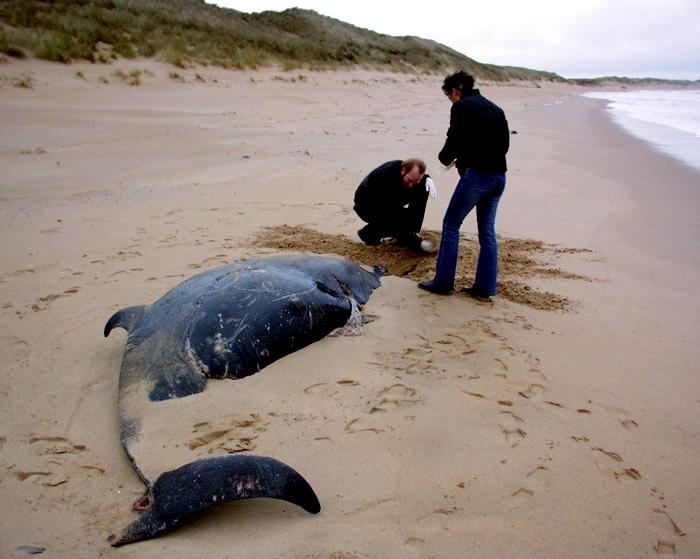 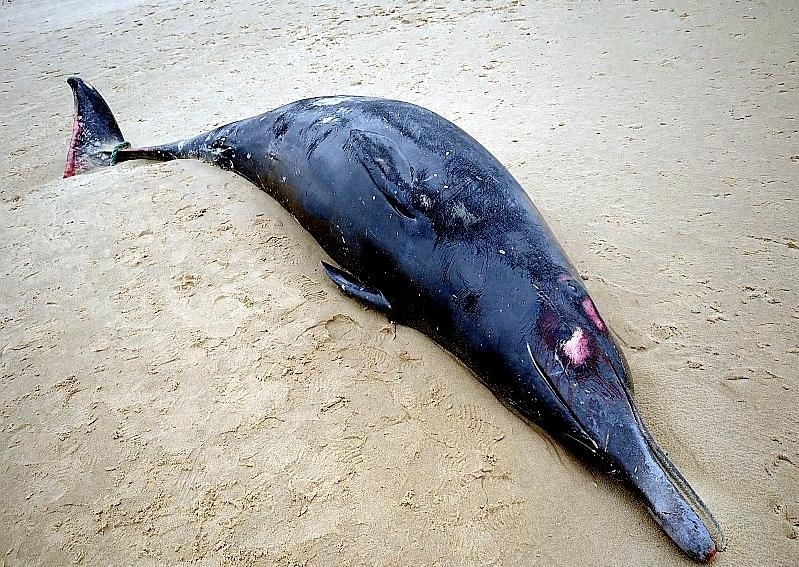 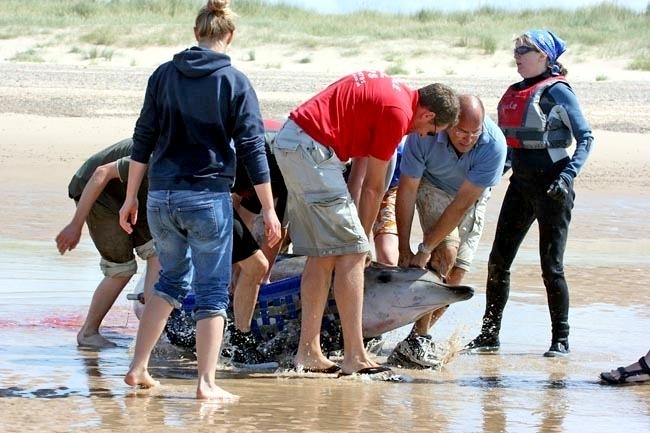 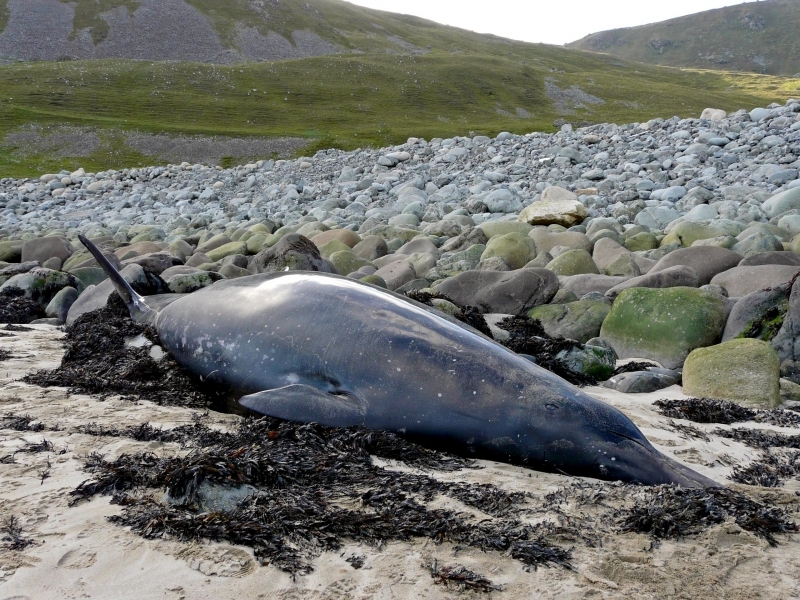 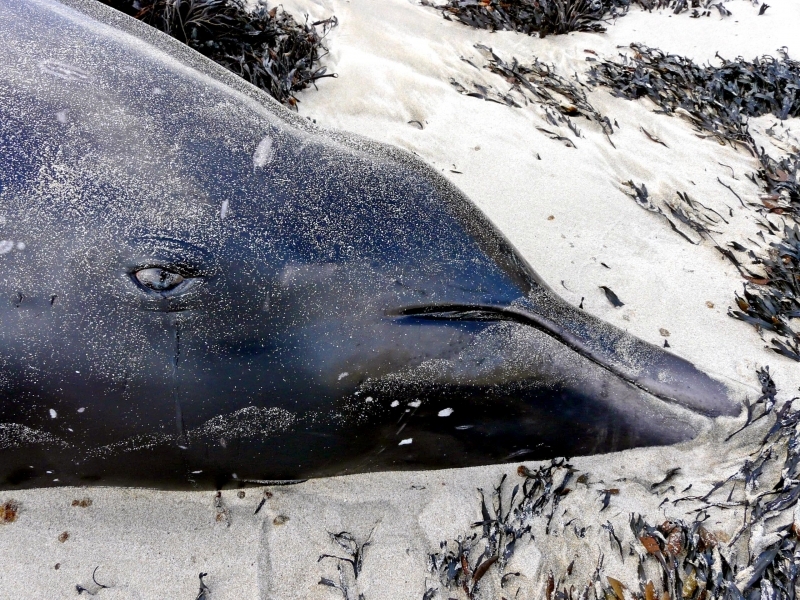 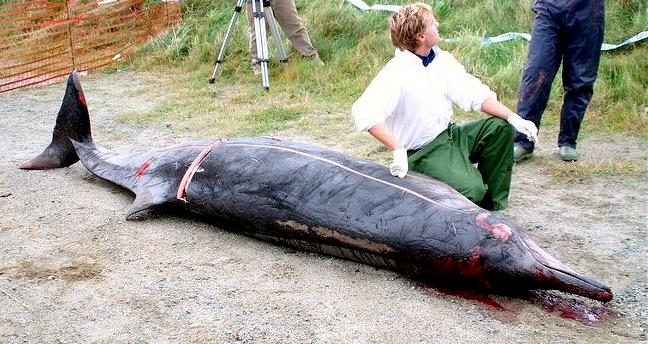 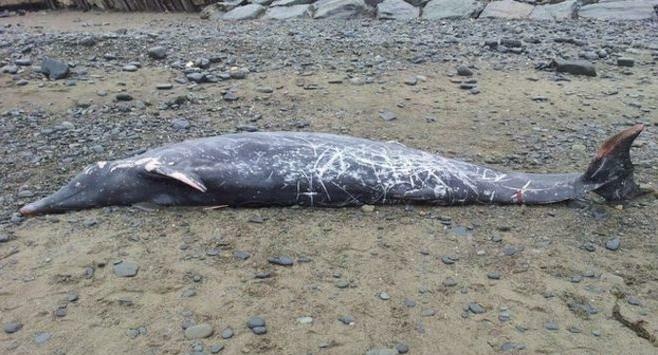 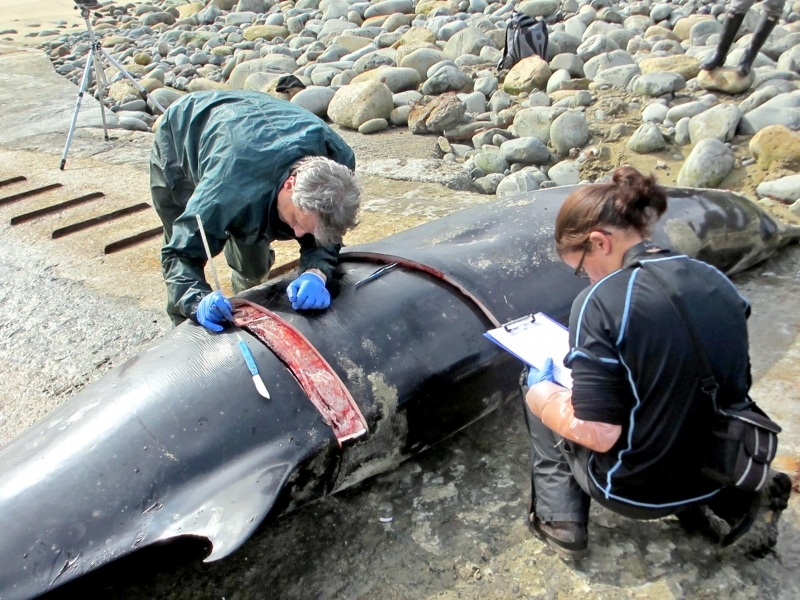 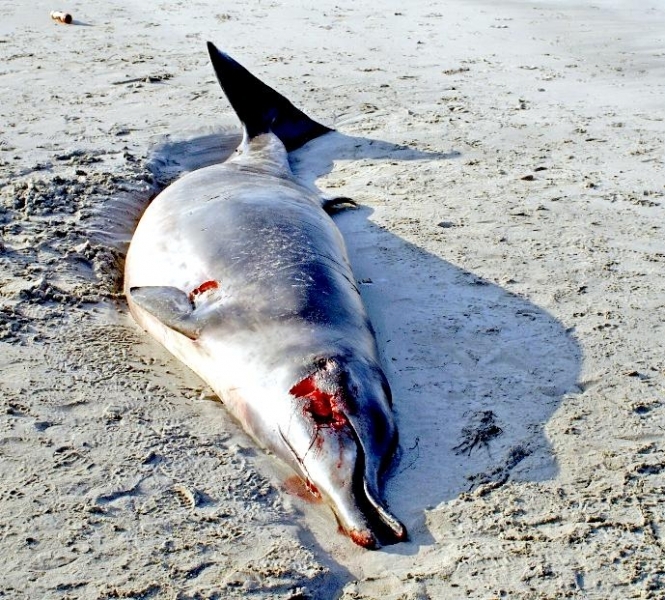 Based on data collected from strandings, Sowerby’s Beaked Whales are found in temperate & subarctic waters in the eastern and western North Atlantic. 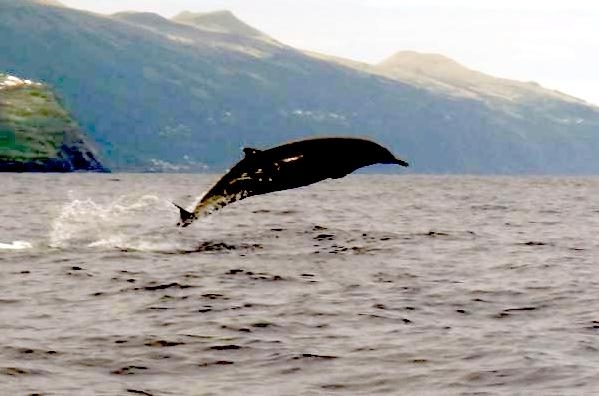 The eastern population has been seen around Britain & Norway. 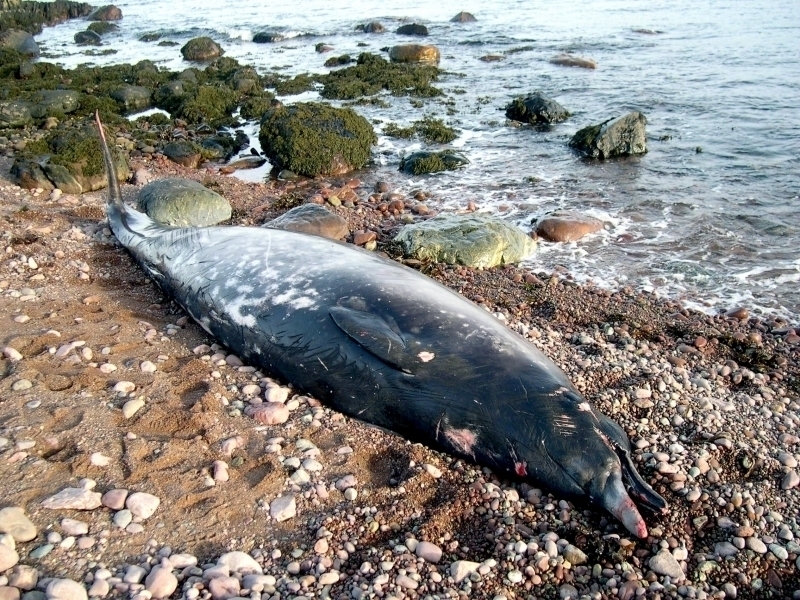 The western population has been seen mainly off Newfoundland, Canada and Massachusetts. 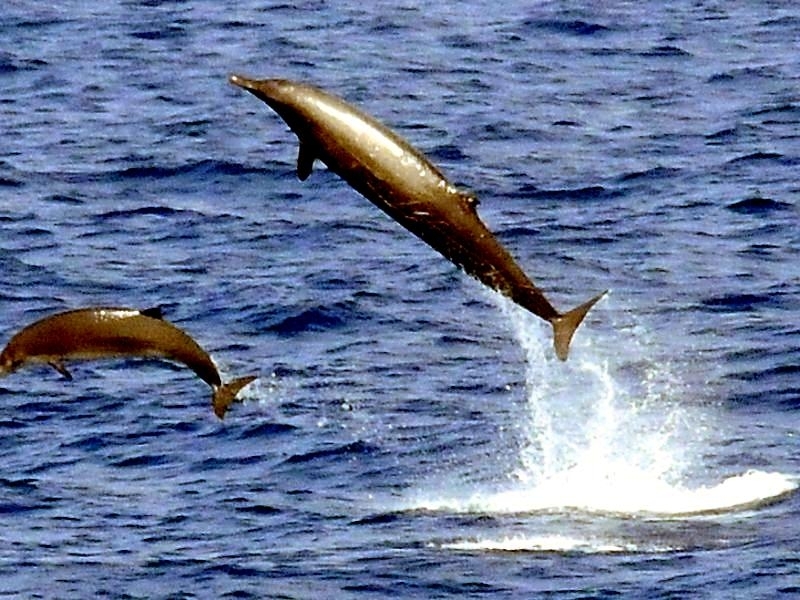 Little is known about the migratory patterns of this species. 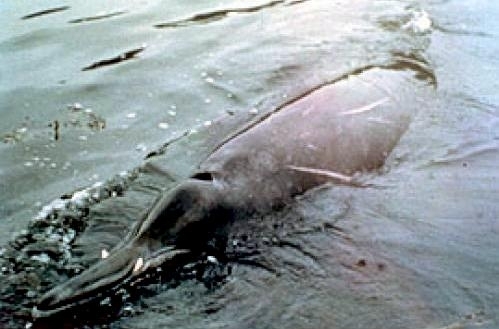 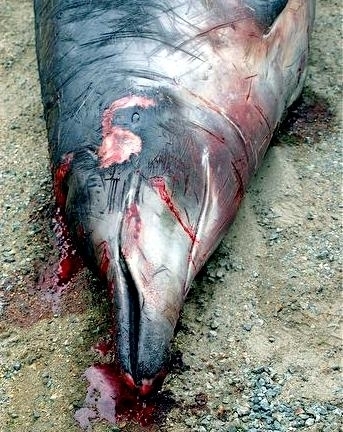 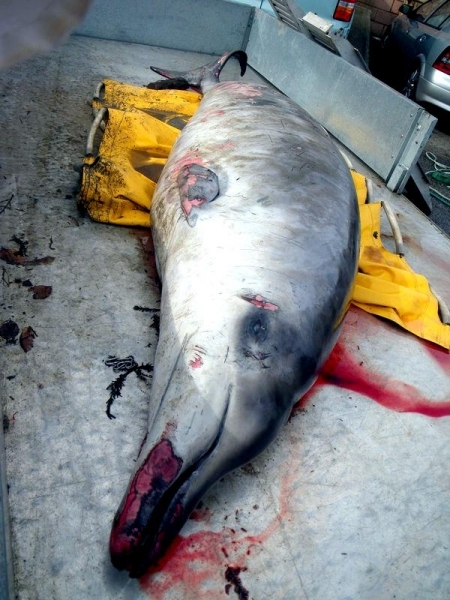 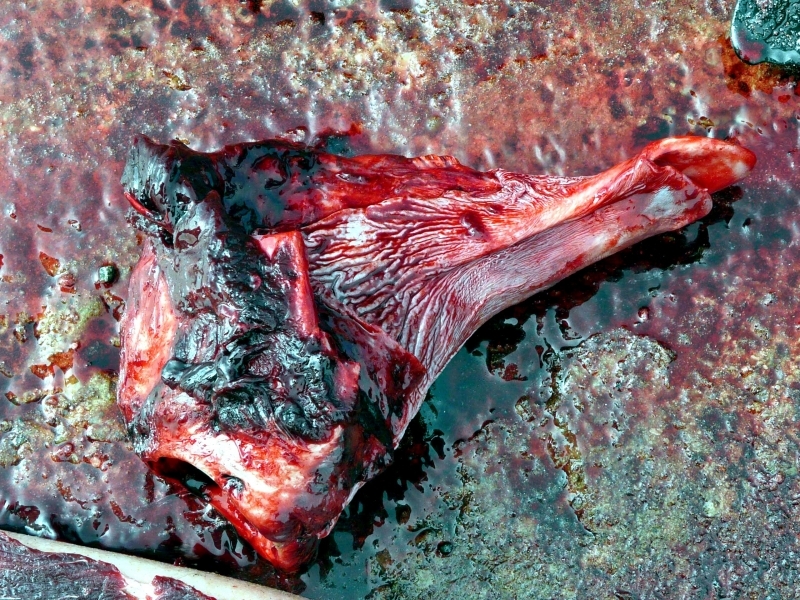 Sowerby’s Beaked Whales likely feed on squid and deep water fishes. 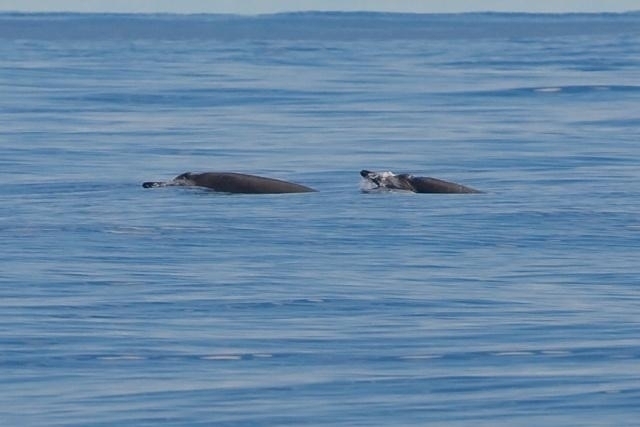 Very little is known about their reproductive habits. 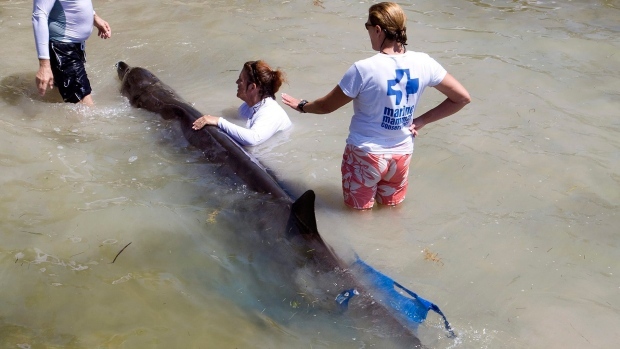 Newborns range 2.4-2.7 meters in length and weigh about 170 kilograms.